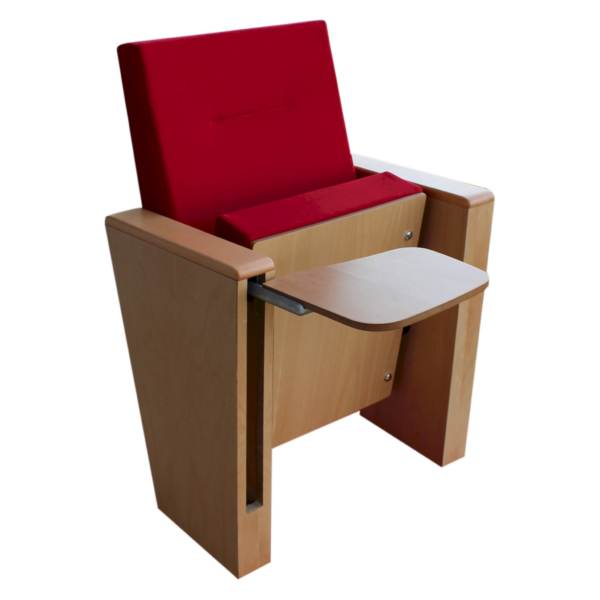 The Teon Y50 is the most luxurious member of TEON family designed for the comfort of conference. 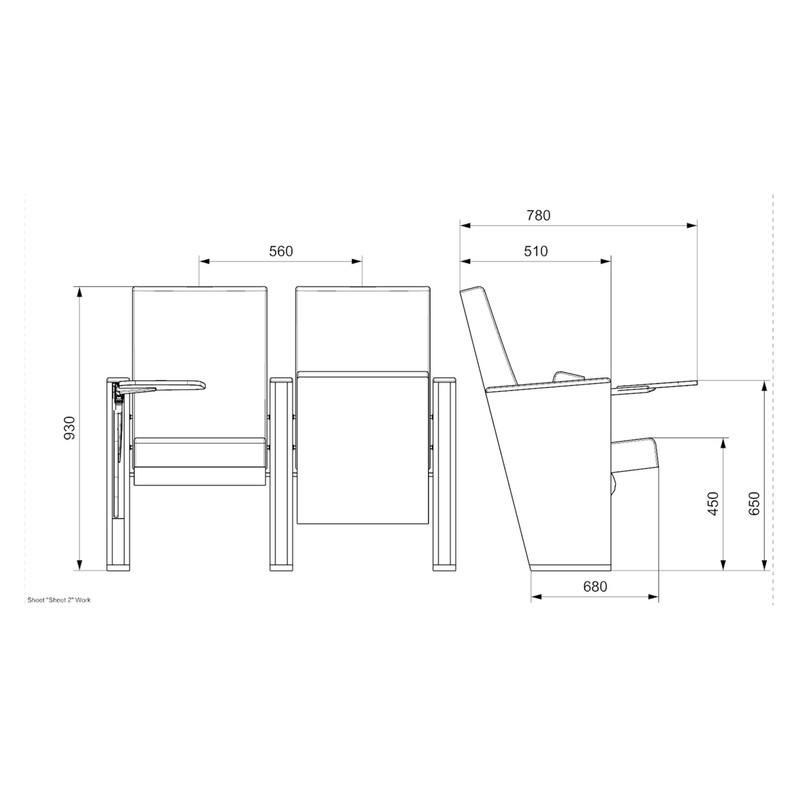 Seatrest and Backrest are manufactured from polyurethane material in aluminum molds which are designed in accordance to the human anatomy and have the standart of 50 ± 10% densty and Mvss 302 fire behaviour. 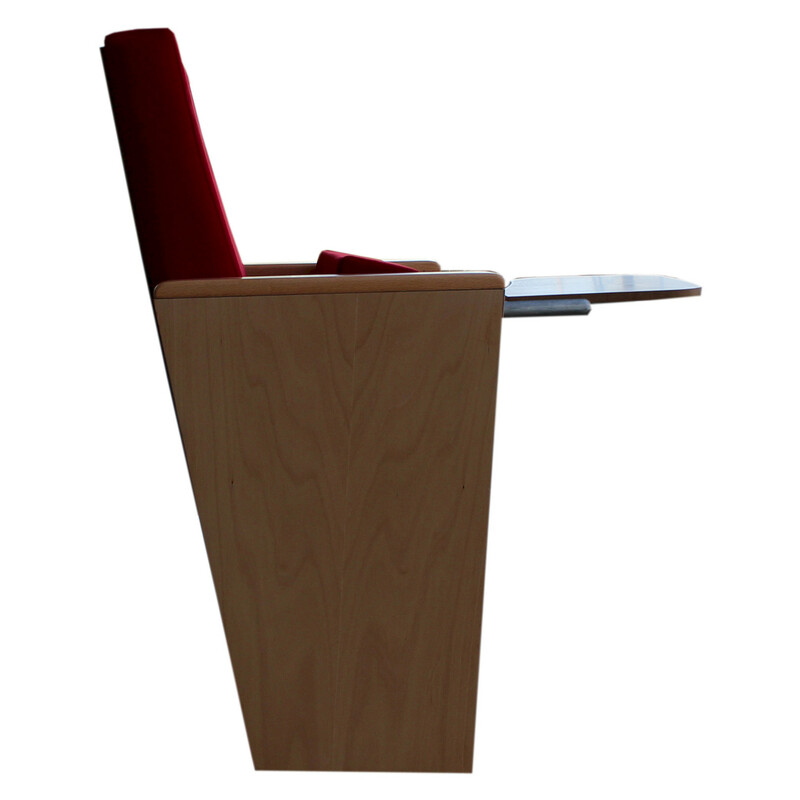 Seatrest and Backrest have a durable inner skeleton made of metal profile. 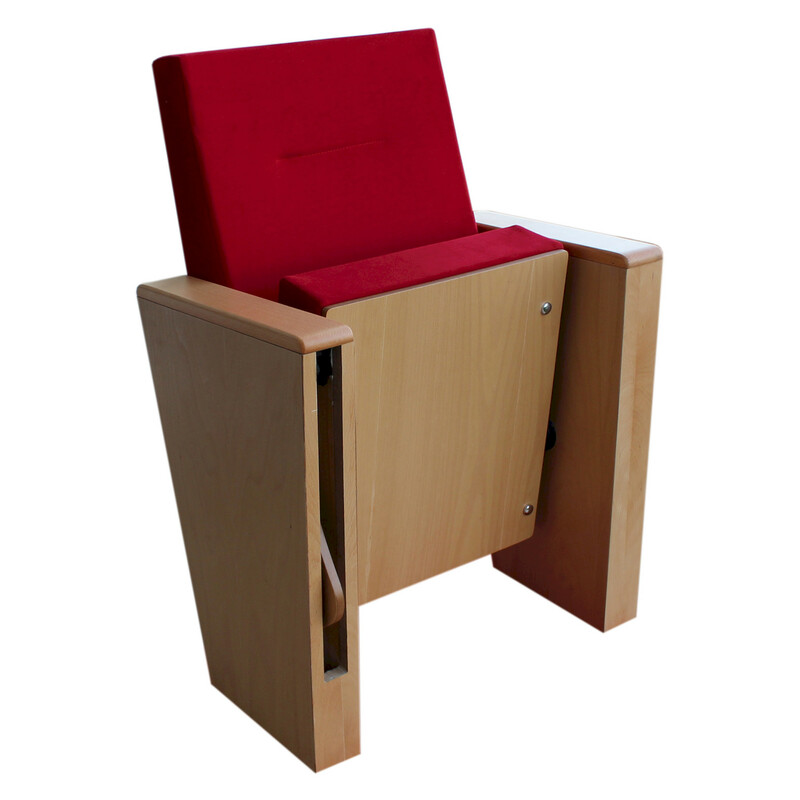 Seatrests are manufactured as to have self-closing weight-centered mechanism. Legs are made of 18 mm thickness MDF and coated on with beech material, and joint points are combining with 45 degree angle. 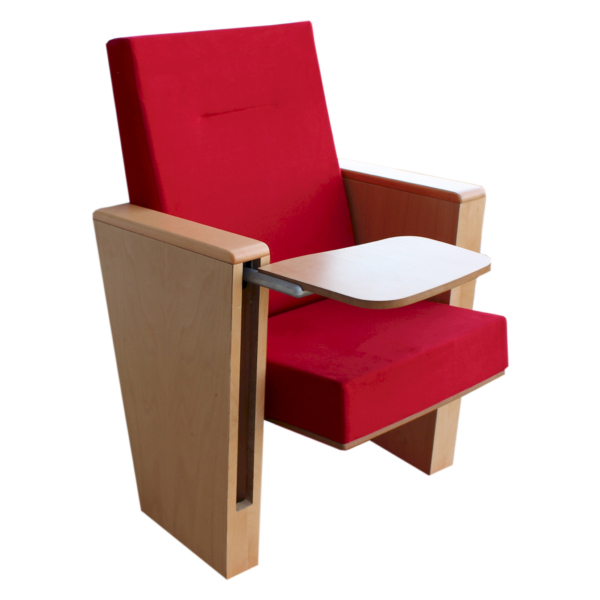 The armrest is made of polished wooden from beech material, and anti panic wooden writing table. Armrests between the seats are used as a common. The connection parts of the seats to the floor are made of 6 mm thick metal part. Seats are fixed to the ground with 2 feet. The upholstery fabric is 100% polyester, has resistant to friction, non-flammable and have fastness properties. Friction Strength: 60,000 cycles. Weight: 285 gr / m2. Seatrest and backrest are covered with polished wooden cover made of beech material. 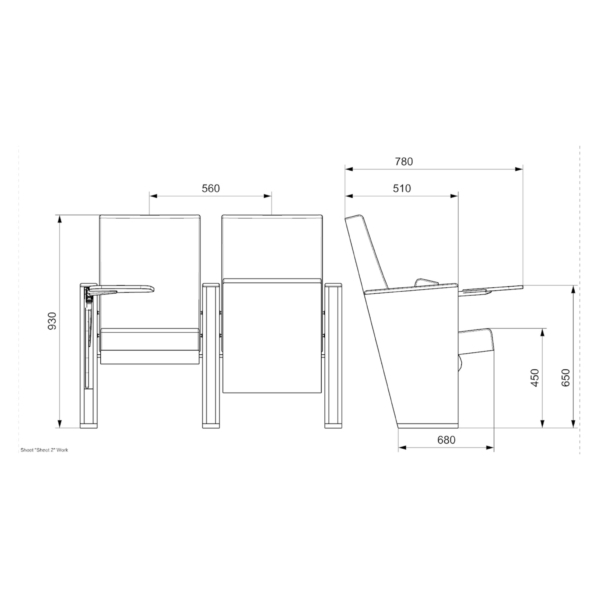 You can download all details, catalogs, technical specifications from this section without any restriction. If you need more information, please contact us. DATA SHEET - VIP AREA! In this section, you can download all data sheets, color samples and everything you need for a tender or client presentation. Call us for password. In this PDF file, you will find all details regarding our company and products. Please request the password to reach this area. Click here to contact us. Since 2005, Seatorium has got bigger and bigger every year. It has exported its products to more than 57 countries. 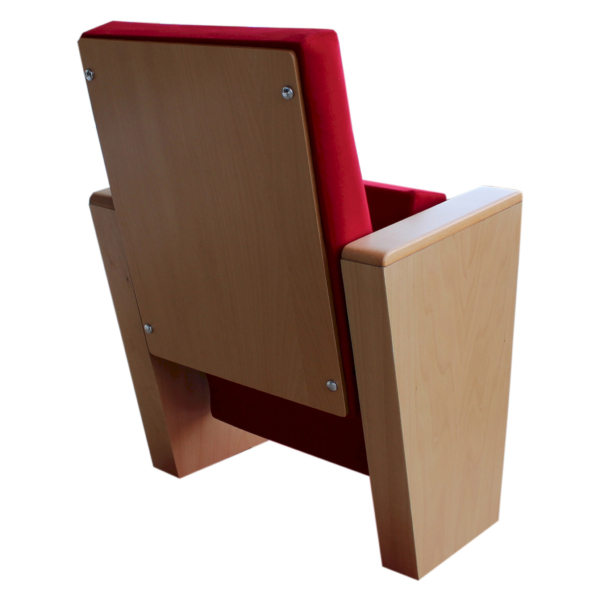 We export %90 of our products under the brand name of Seatorium. We sell domestic under a different name but it’s very small considering our international operations. In order to get a list of all references, photos, and videos, please contact us. We would also be honored to welcome you to our factory located in Bursa Turkey, very close to İstanbul. 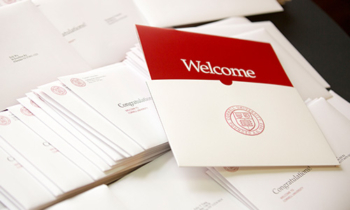 Just let us know 1 week before so that we can schedule your visit. Seatorium has issued all necessary certificates to do business internationally. We follow European, ISO, and FIFA standards. To learn more, please contact us. The majority of these options you can see here can be applied to all our items. However, some of our products’ design does not allow to apply every option to every item. So, please contact us with your project details and requirements to see what we can do. Bursa, where our factory is located, is famous for its textile production. That’s why, we never have problems finding what you need. Thanks to our rigorous tests and quality controls, we have selected some of the best fabrics, artificial leathers or real leathers to be used in our products. If you want to provide fabric, that’s fine for us. We will remove the cost of textile from the quotation. These are the standard color samples we use in this product. Please remember to specify “Fabric Fire-Retardent” feature in case you need. For more details, please contact us. Do you want to visit our factory to see our capabilities? You are always welcomed to visit our manufacturing plant located in Bursa-Turkey, which is very close to İstanbul. Please let us know 1 week before your arrival so that we can organize your stay. It takes max. one and half hour from İstanbul by ferry. To learn more about directions and help, please contact us.